This is the start of prime tick populations in the majority of the United States. This time period usually runs from about late March through the end of June. Ticks are always present but they prefer cool, wet weather which is usually encountered during those times of the year. Ticks are much less common in the western states since they are much drier. The eastern third of the United States is where most people and their pets pick up the disease due to the moist conditions found east of the Mississippi River. 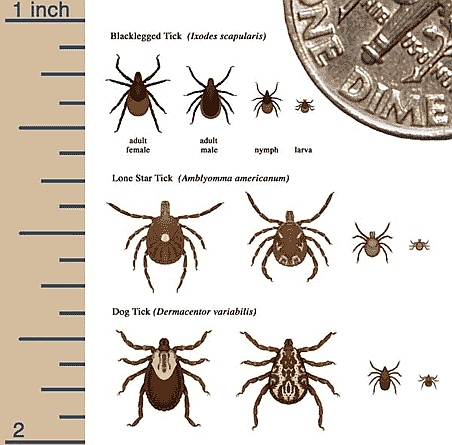 These conditions breed ticks that transmit the disease to mammals. Ticks take a sabbatical in hot dry weather. In Florida ticks are a year round problem due to the moist conditions found there year round. Why do dogs pick up ticks more commonly than people? What is the link between dogs and people in this situation? Ticks are intelligent. To survive they need a blood meal. That means they need a host. Dogs walk on all four limbs. Ticks are attracted to the level of carbon dioxide in a microclimate. Dogs exhale carbon dioxide AT THE LEVEL where ticks reside in tall, grassy or wooded areas. The ticks detect this and latch on! Lyme disease is caused by the spirocheteA spirochete is a type of bacteria shaped like a spiral corkscrew. Most bacteria are round or rod shaped. Another example of a spirochete is the bacteria that causes syphilis, Treponema pallidum. bacteria Borrelia burgdorferi. 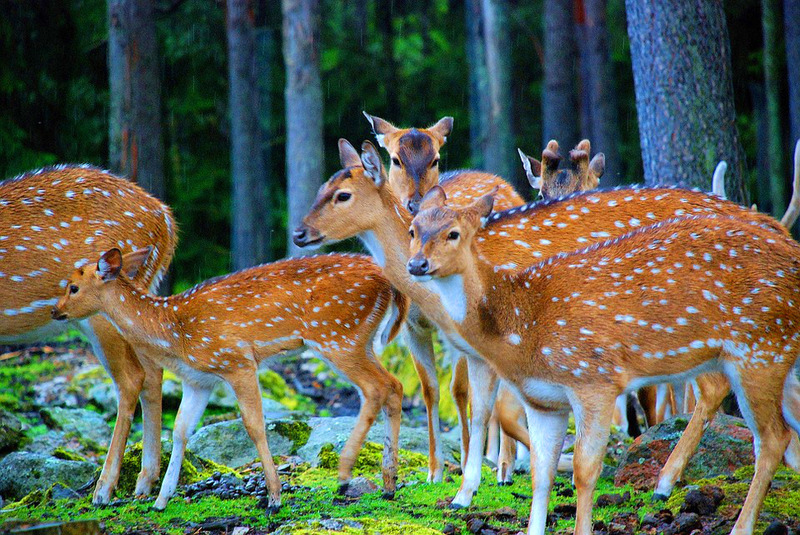 It is called Lyme disease because the disease originated in Lyme, CT. Canine Lyme disease is transmitted to the dog by the bite of the deer tick. The link between dogs and people is that dogs will bring ticks home while they are running around in the woods. These ticks can then find their way to people. Dogs and humans can be infected by the same ticks. Ticks are nothing to fool around with. If you see ticks climbing the walls of your home, you have a nasty infestation. Ticks not only transmit Lyme disease but also Rocky Mountain Spotted Fever, Babesiosis This was the subject of my doctoral thesis prior to receiving my DVM degree. I did original research in the Dominican Republic studying the prevalence of the disease. It was transmitted by dog ticks and caused by Babesia sp; small, single cell, protozoan intracellular parasites. and Ehrlichiosis. The most commonly presented sign in dogs with canine Lyme disease is arthritis in any joint. It is so common in the mid-Atlantic and New England states that veterinarians in those areas usually screen dogs for Canine Lyme disease for ANY dog that is presented limping! That indeed is smart. The tricky thing about canine Lyme disease is that the arthritis can “jump” from limb to limb! Even with antibiotic treatment arthritis can be presented in one limb and the next day it shows up somewhere else. This is known as polyarthritis. Canine Lyme disease can affect many organ systems. The disease can also cause acute renal failure (glomeruonephritis) and central nervous system disorders such as seizure activity. There has been insufficient time to develop antibodies. The dog had the disease eons ago leading to undetectable levels of Lyme antibodies. There are other tests (PCR) that can find the bug in the blood but it is not always there. The question arises- with so many different diseases that cause lameness in the dog how do doctors figure out whether or not to rule Lyme disease out? This disease is not easy to diagnose. Wherever there are deer and deer ticks there can be Lyme disease. Fever and lameness are hallmarks of Lyme disease but can also be seen in bacterial and septic arthritis. THE CRUCIAL PIECE OF DATA IS THE HISTORY OF WHERE THE ANIMAL HAS BEEN. Does the dog roam around in the woods? Do you have high, uncut grass around your property? Have you vacationed with your pet in New England or other prone areas? Canine Lyme disease can be tricky to treat. It requires weeks and or months of antibiotic treatment. The most commonly used antibiotics are: doxycycline, Zithromax® (azithromycin) and Flagyl® (metronidazole). Many of these antibiotics are used in combination with one another for maximum effect. The problem is, is that once successfully treated the animal can be re-exposed to the same disease if bitten again by another infected deer tick. Does prior antibody production protect against future infections? The verdict is still out. Cut down tall grasses around your property where ticks reside. Keep your pets from roaming around woods particularly during prime tick season which stretches from March through June. Use a topical flea and tick preparation routinely on your dog. The best product is Frontline® Plus. Use 21st century tick collars. These are great and highly effective. The best products are Seresto® and Preventic® collars. Employ environmental tick control products. Products for the home and environment are readily available at your veterinarian’s office. If you are traveling to an area where canine Lyme disease is prevalent take extra precautions. If you live in high risk areas known to harbor canine Lyme disease consider the Lyme Vaccine. It is 90% plus effective. It requires two doses 3 weeks apart followed by an annual booster.